Want to win some cash? 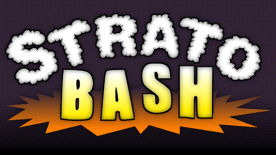 Up for a game of StratoBash? Good luck getting to the top, you'll need it! Puzzles, combatants, earthquakes, wind storms, explosive traps & more will stand in your way. Complete each island's requirement to ride a portal up to the next. The quicker you move & the better your stats – the better your prize will be. ... now what to do about that big mysterious ship? StratoBash uses a hybrid "dash teleport" system to prevent nausea while still allowing the player to move. You can teleport to nearby locations & enemy knocks will be applied as additional, forced teleports. Please note: VR Support requires a play area with 360° tracking.